Tarantula. Never experienced this little gal in the wild before last night. While photographing a sunset storm I almost stepped on her. What a beautiful lady. After some research it was obvious that this spider is a female. The female has a larger abdomen than the male. 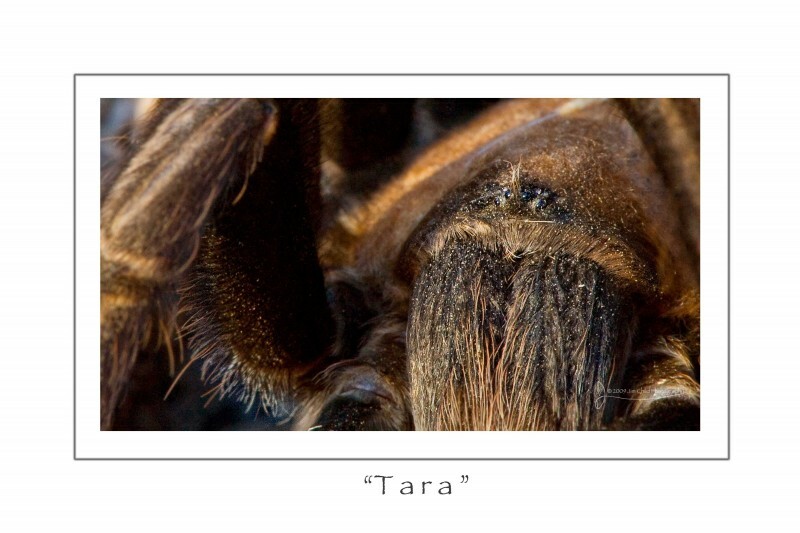 The male tarantula has thinner legs. 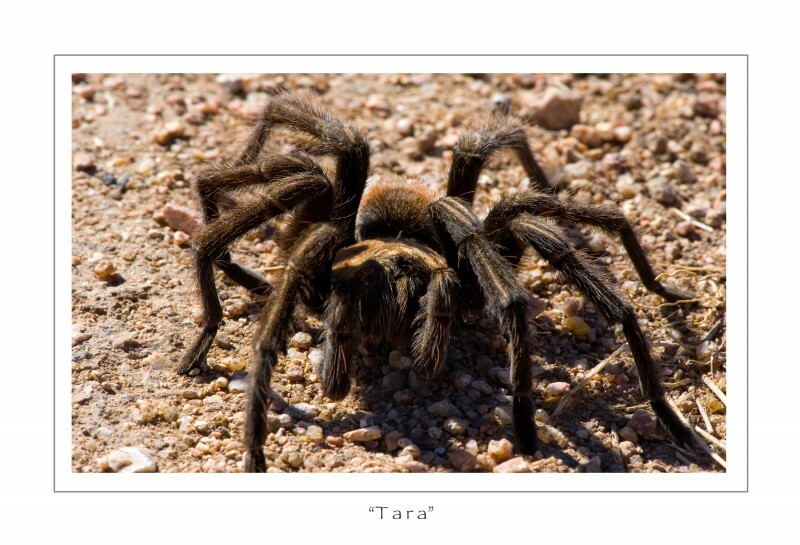 Tarantulas supposedly are very popular as pets. She is very docile and easy to handle. Last night it was too dark to photograph her so I…..I…sacrificed my 32 oz. Dr. Pepper for a temporary home for my new friend. Before I confined her to the cup we had a bonding period. At first she was pretty anxious. But soon she was all over me and exploring my hands and arms. 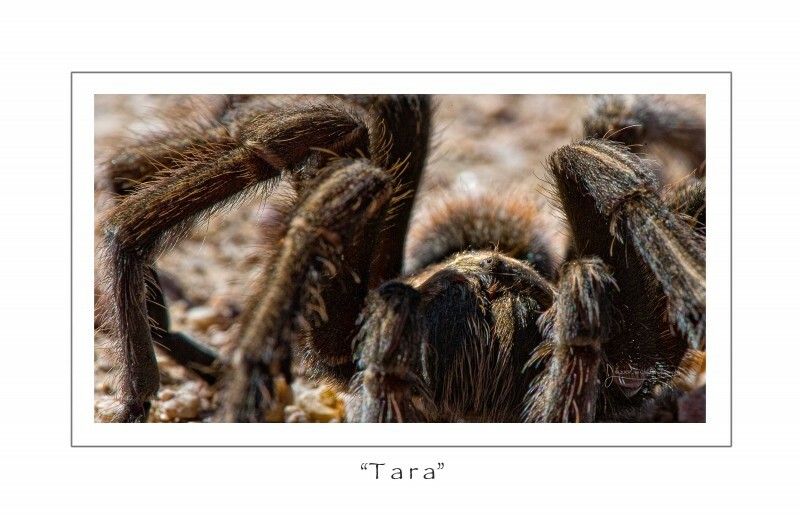 The tarantula is softer then they look. We soon became friends and I promised her I would return her to the same spot on my return back to phoenix. Today up in Chino Valley I let her out and she ran all over. Like a vacation I guess. She did a lot of exploring. And I did a lot of photography. It was a blast. I still owe you more on HDR. Been reading up on it – there’s a lot of things to sort through. I’ve been a fan for a year now, since Jason showed me your site. You continue to amaze me with your way of capturing God’s artistry for the rest of us to see. 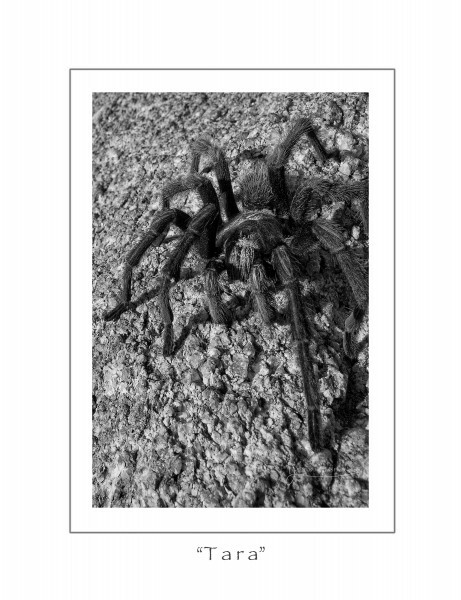 Only MY father would not just photograph a ginormous tarantula, but also keep it as a pet for a few days, name it and let it crawl all over him. I, I ….I have no words.